Layer two 24-in. pieces of aluminum foil; starting with a long side, fold up foil to create a 1-in.-wide strip. Shape strip into a coil to make a rack for bottom of a 6-qt. oval slow cooker. Add water to slow cooker; set foil rack in water. In a large skillet, heat oil over medium-high heat. Add potato and onion; cook and stir until potato is lightly browned, 5-7 minutes. Stir in paprika. Transfer to a greased 1-1/2-qt. baking dish (dish must fit in slow cooker). In a large bowl, whisk eggs, thyme, pepper sauce, salt and pepper; stir in 2 ounces cheese. Pour over potato mixture. 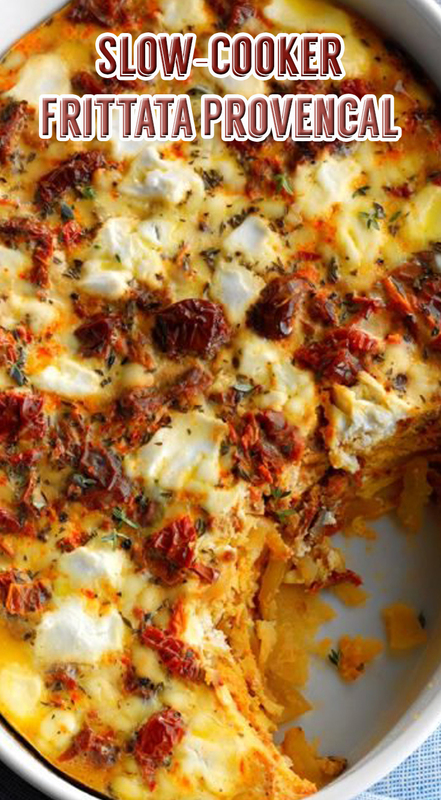 Top with tomatoes and remaining goat cheese. Place dish on foil rack. Cook, covered, on low until eggs are set and a knife inserted in center comes out clean, 3-4 hours.